You may know someone who has been treated by a Certified Rehabilitation Registered Nurse. These are the professionals who help people with chronic illnesses and disabilities attain the best level of function they can. The Association of Rehabilitation Nurses provides the certification, which you can get by taking and passing a test. There are a number of critical details you should know about taking the test. 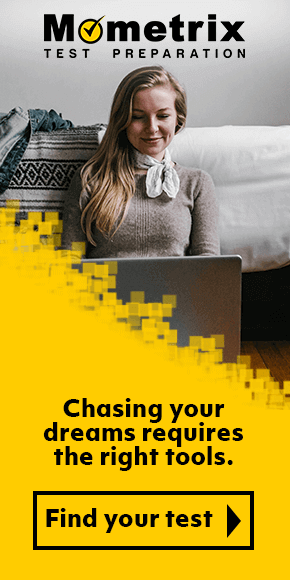 Moreover, you’ll certainly need help studying for it so you can fulfill your dream of helping others. This guide helps you in both of those areas. What are the eligibility requirements for taking the Certified Rehabilitation Registered Nurse exam? One year in rehabilitation nursing as a registered professional nurse, and one year in advanced study in nursing above a college bachelor’s degree. Both requirements must have been completed in the last five years. It costs $285 if you are a member of The Association of Rehabilitation Nurses. Non-members pay $425. You can take the exam during one of two month-long testing windows. One testing window is in June, while the other is in December. Testing applications may be submitted all year, but no later than 45-days prior to the testing window. Late applications, filed within 15-days after the application deadline, will be accepted. A $35 late application fee will apply. You may reschedule, so long as you do so at least four business days prior to your test. There is a $50 fee for rescheduling. You may cancel the exam but will be assessed various fees. How many questions are on the Certified Rehabilitation Registered Nurse exam? There are a total of 175 multiple-choice questions on the exam. Of those, 150 are scored, and 25 pre-test questions are not. How long does it take to complete the exam? You have three hours to take your test. The exam covers four major subjects, or domain, areas. They’re listed here, with the number in parenthesis denoting the percent of the exam’s question the domain covers. The Function of the Rehabilitation Team and Community Reintegration (13%). Focuses on team collaboration and community reintegration. Legislative, Economic, Ethical, and Legal Issues (23%): Focuses on ethics, care based on legislation and regulations, costs-effective care, and quality and safety. Any candidate who arrives at the testing center after the exam has started will not be allowed to take the test and will forfeit all fees. What items are banned from the Certified Rehabilitation Registered Nurse exam testing room? As is the case in most exams like this one, no electronic devices of any kind are allowed. That includes cell phones, cameras, or any device that can record and playback. You will be able to store these materials in an area at the test center. You’ll receive your test results at the testing center, after you complete the exam. What if I fail the test? Can I retake it? Yes. You can retake the test in the next testing window provided you pay all associated fees. The certification period is five years. You can renew certification you must have an RN license, two years of rehabilitation nursing experience and amass 60 continuing education credits, all within a period of dive years. Becoming a Certified Rehabilitation Registered Nurse is certainly a rewarding career. To succeed, you will need help studying for the exam. Mometrix can help. Our professionally crafted study guides and flashcards are exactly what you need to prepare for this challenging test. Our comprehensive study guide has been researched by a team of professionals with years of experience helping candidates prepare for exams just like this one. The guide provides specifics on how to tackle the questions you will be asked, and if you are stumped, you can ask one of our experts for help. Our large, easy-to-read flashcards help you learn through repetition, and the questions cover every content area of the Certified Rehabilitation Registered Nurse exam. Not only that, the cards make it easy for a friend or relative to help quiz you on the questions you’ll need to know to pass the test. Both the study guide and flashcards contain important bonuses for your preparation. There are practice test questions that will help you test your knowledge on the topics you will face; a method to maximize flashcard learning; study secrets to get the highest score possible; and ways to overcome test anxiety. Mometrix Academy is a completely free CRRN certification resource provided by Mometrix Test Preparation. 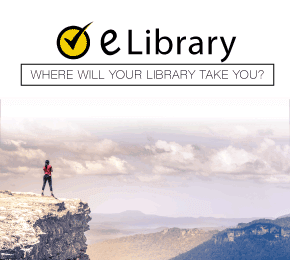 If you find benefit from our efforts here, check out our premium quality CRRN study guide to take your studying to the next level. 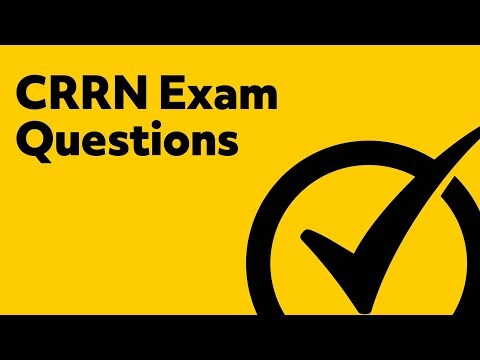 Just click the CRRN study guide link below. Your purchase also helps us make even more great, free content for test-takers. Our customers love the tutorial videos from Mometrix Academy that we have incorporated into our CRRN test study guide. The CRRN study guide reviews below are examples of customer experiences. Fast shipping. Great communication. Book is super useful and provides lots of clarification and cues to exam. The guide really helped me on reviewing and learning its contents. The guide was helpful to refresh my mind and to prepare for the exam. It made me aware of my strongest points as well as my weakest ones. That way I have some time to re read the book and also research for extra material. 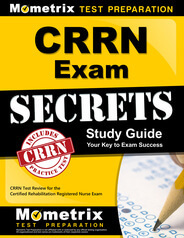 Love the CRRN Exam Secrets study guide. The book is organized very well and summarizes each topic within a paragraph. Making learning easier and faster. The practice test at the end of the book is preparing me to take and pass the exam. Also has good test taking tips. The book is the best guide for preparing for the exams. It is detailed and gives information in ways that even someone not in the health field will understand the contents. This is a book that will always be a close consult for me at all times. I will recommend others to this book and have already done so. This book not only prepares you well for the exam but gives you information that will always keep and can pass on to patients and your staff and others outside the health field. Helpful was the bold outlines of each topics. I really like the book for many reasons: it is organized, concise, affordable, and the tests in the back are great to check your study skills. It highlighted the important part of what is done and what you need to know about rehabilitation. Not only I will use it for the exam, I will also use it as a reference in the working area. This is a great tool to pull together all the information I have studied. This will make passing my CRRN test much easier. The book is organized very well, concise and it summarizes each topic within a paragraph. Making learning easier and faster. The practice test is an added bonus that includes good test taking tips. I love this book! When I received the book I thought Oh my goodness this is going to be a very long study journey but when I opened it and began reading I realized how organized and easy to maneuver. The thoughts and order is so easy to study. I was pleasantly surprised.